A sign at the Jaguar Jungle exhibit is seen at the Audubon Zoo in New Orleans, Monday, July 16, 2018. A jaguar that killed nine other animals during a weekend escape from its habitat at the Audubon Zoo is believed to have bitten through a steel-cable barrier that forms the roof of its habitat, according to the zoo's managing director. A jaguar that killed nine other animals during a weekend escape from its habitat at the Audubon Zoo is believed to have bitten through a steel-cable barrier that forms the roof of its habitat, the zoo's managing director said Tuesday. Kyle Burks told reporters at a zoo news conference Tuesday that the jaguar apparently slipped through the resulting small gap in the cables. He estimated the hole to be about 8 inches by 10 inches (20 centimeters by 25 centimeters). The interlocking steel cables that form what looks like a hard net over the habitat meet Association of Zoos and Aquariums guidelines but zoo officials are now looking for stronger materials, Burks said. "We haven't determined the final material we're going to use yet," he said. 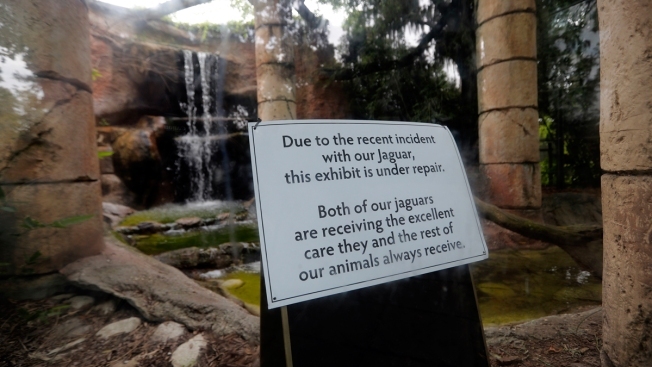 Meanwhile, the jaguar exhibit will remain closed. No people were hurt during the escape. The animal was tranquilized and was safely removed less than an hour after an employee discovered it was out early Saturday, before the zoo's opening time. But Burks says officials don't know how long it roamed free before the escape was discovered. Had the escape occurred when the zoo was opened, Burks said, staffers would have implemented plans to usher visitors into secure buildings. He also said there is an outer perimeter fence, designed to keep animals from getting off the zoo grounds, that meets the accrediting organization's standards. 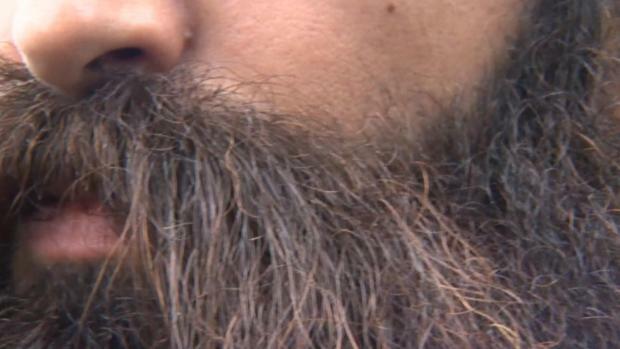 Pressed by reporters, he said it's "conceivable" that the cat might have been able to eventually breach an outer perimeter and escape the zoo. "I can't necessarily say that there's no way he could have done that," Burks said. But he stressed that the staff is trained to prevent such an occurrence. "Any time any of our dangerous animals are outside of their exhibit, we're going to take action. It doesn't matter where they are." U.S. Department of Agriculture officials have inspected the zoo since the escape, Burks said. And the Association of Zoos and Aquariums, the zoo's accrediting organization, has been notified. Three foxes, five alpacas and an emu died as a result of attacks by the 3-year-old jaguar named Valerio. Burks said the escape was discovered at 7:20 a.m. Saturday when a staffer delivering food in the swamp exhibit heard what Burks said were sounds of animals in distress. The staffer spotted the jaguar in the fox exhibit. He and another staffer secured themselves in a safe building and radioed zoo staff. Tranquilizer darts were used to bring the big cat down. The first was fired a little more than 20 minutes after the discovery. By 8:15 a.m., the cat was down and had been safely removed. Valerio was examined and found to be in good health. The big cat will not be euthanized, zoo officials said, because it exhibited normal predatory behavior.